So, you're having a party and wanting to baste those tender baby back ribs to perfection. 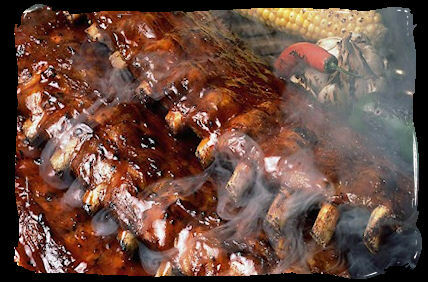 Smoky fixes you up with a LARGE SCALE recipe that can handle party quantities of ribs. You can use this for most types of pork meats. If you need smaller quantities, simply reduce proportionately. Have fun and save us a rib! Simmer ingredients and allow to cool down to warm before basting.